On Sunday 21 May groups of DPFEM employees participated in the City to Casino 11km and 7km runs. Lots of positive commentary and encouragement was shown towards participants wearing the 100 Years T-shirts, supplied to everyone who registered. All smiles in preparation for the City to Casino. 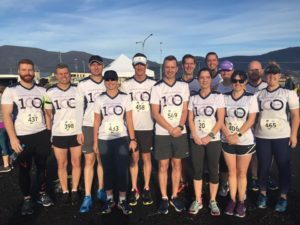 11km run group – ready set go! The next event scheduled in the Healthy initiatives “Trifectas” is the Launceston Ten on Sunday 18 June. 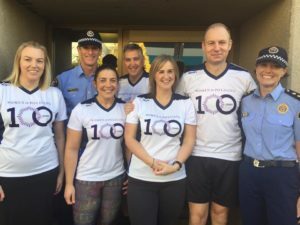 This page -- https://www.police.tas.gov.au/about-us/100-years-women-policing-tasmania-police/events/100-years-women-policing-healthy-initiatives-city-casino/ -- was last published on June 7, 2017 by the Department of Police, Fire and Emergency Management.